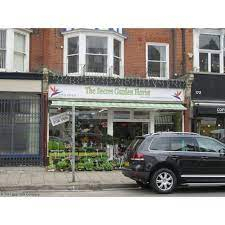 A vibrant florist, who can cater for all customers and tastes! Happy with the service, got flowers for my mother-in- law, she was really happy with the flowers she got. Very friendly and helpful. Delivered within an hour of order. Recipient said flowers were lovely. Beyond happy, will absolutely use these guys again! Great service and stunning flowers - my friend especially liked the multi coloured rose! As always very pleased with the order and service I received! I wouldn't use anyone else! 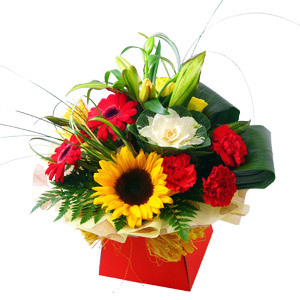 The flowers were delivered right on time and were very fresh. Great service, very freindly. My new go to florist. 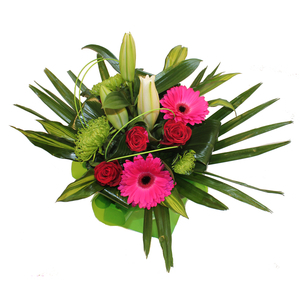 A beautiful, hand picked selection of flowers arranged in a coloured box. 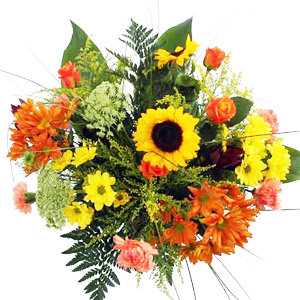 Vibrant Handtied of mixed flowers arranged by the florist, in water. 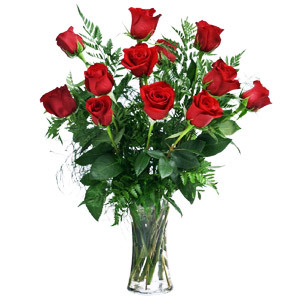 Long stem quality roses and elegant foliage, your choice of colour subject to availability or at least 3 days notice.